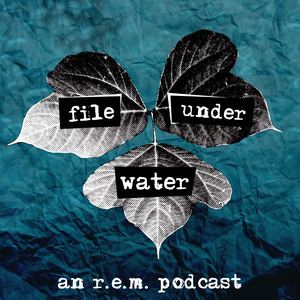 Gary Butterfield and Kole Ross discuss the music and production history of R.E.M. 's debut EP, "Chronic Town". It's an opening salvo that contains bits and pieces of everything the band would eventually become. The next episode will be about Murmur. R.E.M. - Wolves, Lower - YouTube — The album cut of "Wolves, Lower" for comparison. R.E.M. - Wolves, Lower (Official Video) - YouTube — R.E.M. 's first official music video. Michael Stipe hated lip syncing. REM - Wolves, Lower rare fast version (Chronic Town outtake) - YouTube — Wolves, Lower was already pretty fast. This is blistering. R.E.M. - Live at the Raleigh Underground (10th October 1982) (PRIVATE REMASTER) - YouTube — Here's a live show the band did in support of Murmur, with lots of Chronic Town favorites. R.E.M. - Ages Of You (Chronic Town Outtake) (Audio) - YouTube — "Ages of You" was dropped from the album in favor of "Wolves, Lower". A version recorded during the Reckoning sessions would end up on Dead Letter Office. R.E.M. - Shaking Through (Chronic Town outtake) (audio) - YouTube — A song that was dropped from Chronic Town, but ended up on side 2 of Murmur.